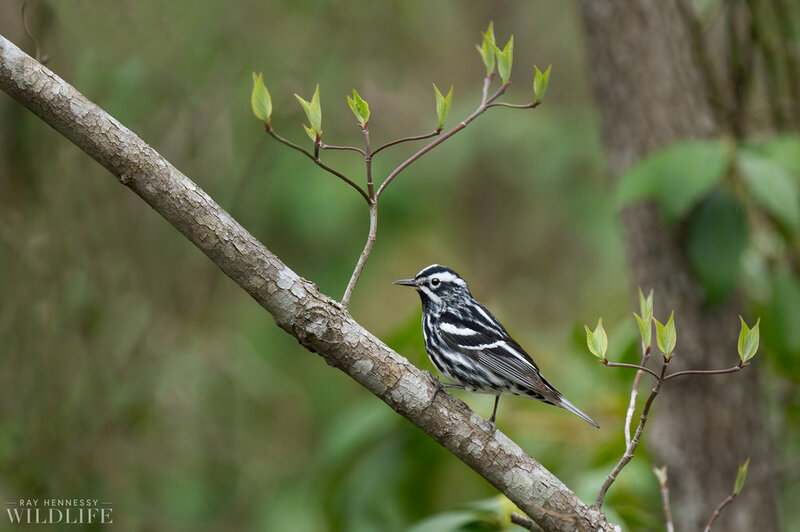 Nothing too special here but I did really like how the Black and White Warbler perched right in between the branches with fresh leaves on them. Having some trees and other background textures help give this image a more natural look that I've been liking more and more over time. I used to want all my backgrounds to be completely out of focus blur but realized after some time that become somewhat boring. As always shooting these warblers in overcast light is ideal to me to show off their colors and in this case pattern without distracting light and dark areas in the background from the sun.